One of South Africa’s challenges, over the past 20 years, has been to provide an education that is desperately needed to leverage our student population into a comparative advantage. Part of this challenge, not emphasised enough, is the fact that South Africa needs more educators that teach with passion, and for the love of it. “Nelson Mandela inspired a passion for education in us. He knew that the key to a successful future of any nation lies in education excellence. But education excellence cannot be achieved if our educators do not in turn inspire our students. 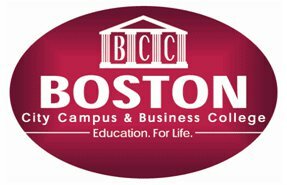 Inspiration is not only found in learning material that peaks one interest, but in the way we teach – in the way we show dedication and spirit in the act of teaching,” says Natalie Rabson, Marketing Manager at Boston City Campus & Business College. Indeed, becoming a successful teacher that’s driven and passionate takes a very specific kind of person. For Albert Verster, Branch Manager at Boston Port Elizabeth, being part of our education industry should be seen as a privilege and an honour. “I am delighted to be part of people’s growth and development towards a gainful career. The thing is, I did not choose the education industry as a career path, it chose me and it gave me the opportunity to do what I enjoy and what I am passionate about,” he says. For Lizelle Mitchell, Branch Manager at Boston Witbank, if one is inspired, few career paths offer such rewards as that of an educator. “The passion has to be there though, and can only be there if you love what you do. I’ve seen the fruits of this countless times. It’s also such a huge responsibility, firstly to ensure that students make the right career choice and secondly to ensure that they always have the best possible chance of succeeding in that chosen field. But that’s just the first step; probably the most important part of my job is to ensure that students stay motivated. As an educator you have to be a pillar for your students, and to remember that each student has their own path to forge in trying to get ahead,” says Mitchell. Jerome van der Merwe, Branch Manager at Boston Orange Grove, further says that you can consider yourself a successful educator when students return to show their gratitude. “There’s nothing more satisfying when learners return after successful placement within the workplace and show gratitude for all that they have gained from their hard work towards their studies. The excitement and the joy of a learner being placed has to be an educator’s proudest moment and their success thereafter is an absolute highlight. This is very unlikely to happen if we as educators lack passion. Education is an act of love – something not forgotten, something which will always stay treasured,” says van der Merwe. With February being the month of love we need to remind ourselves that it’s not what or how much you know, but how much you care that makes the difference. Ultimately this is what will leave a profound impression on the student. “Teaching should always come with the attributes of love in all its many forms. For an educator to be truly successful there has to be compassion, patience, generosity, and total commitment. These are the things our educators should strive toward. Merely generating good results should not be a priority – that will come by itself, but we need to realise that being a successful educator is about instilling a passion and this can only be achieved when educators have a true love for teaching,” concludes Rabson.